Here you’ll get to know about the list of best wedding venues in Udaipur. Udaipur is popularly considered as an apt destination wedding location to get married and live a royal dream. There are numerous venue options available to host a grand or budgeted wedding. 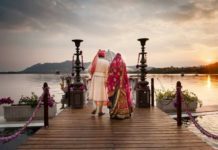 We’ve made a list of the venues you can choose for a wedding in Udaipur and have briefed each site in all aspects, here it goes. Note: The list is in decreasing order of total cost. Located amidst the lake, this venue is best suited for having a ‘wedding amidst water’; this venue was once a palace of the Mewar Kingdom which was later converted into a hotel. If you’re looking for a lavish and luxurious wedding location in Udaipur, this is the best option to fulfill you craving of a picture perfect wedding; this venue is considered as one of the most expensive wedding venues in Udaipur. 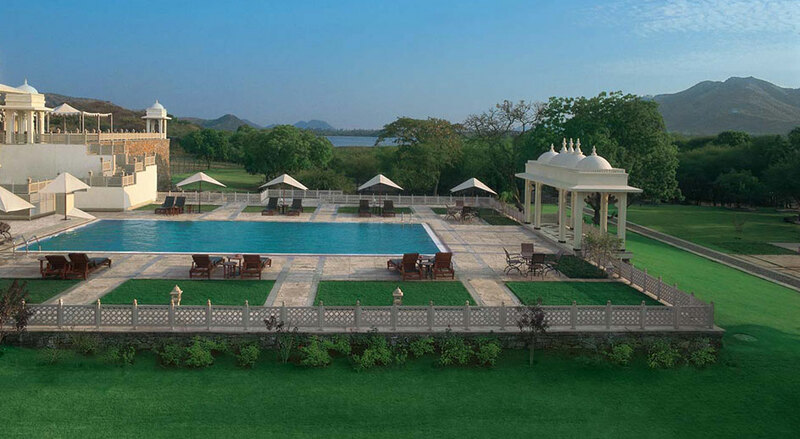 A lakeside 5-Star hotel belonging to the Oberoi chain of luxury hotels is the Oberoi Udaivilas; which will serve as a majestic location for a wedding. 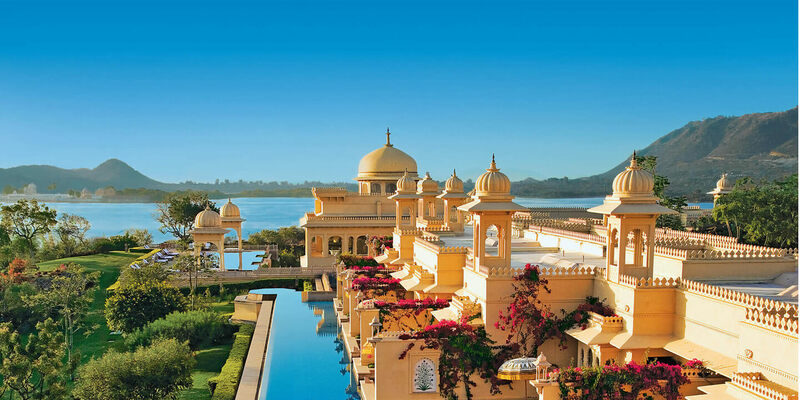 You may have caught a glimpse of The Oberoi Udaivilas and The Taj Lake Palace hotels in the wedding scenes of the movie Yeh Jawaani Hai Deewani. 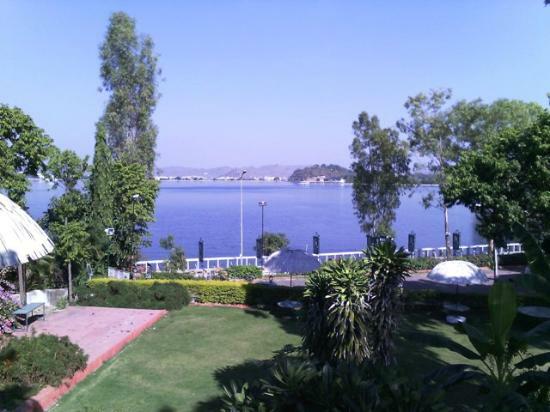 This hotel also comes under the most expensive venues for hosting a marriage in Udaipur. 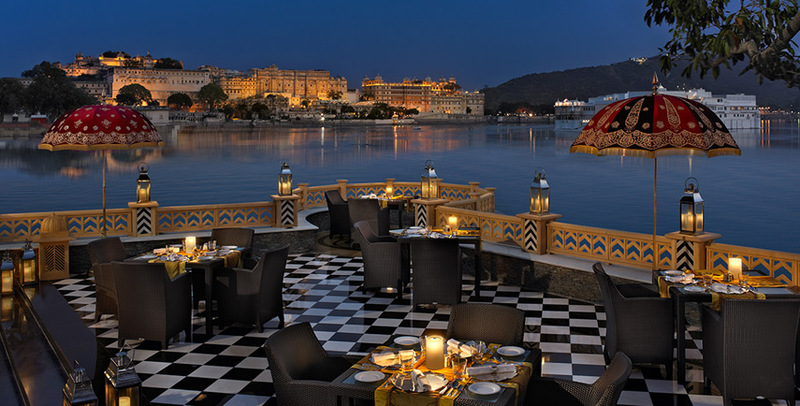 This venue also falls under the category of an extortionate location for a wedding in Udaipur, also located on the lake-side this hotel is a luxurious one. One can make a grand entry to the wedding via boat, this hotel also made a place in the list of ‘Top 100 Hotels in the World’ by Travel + Leisure. 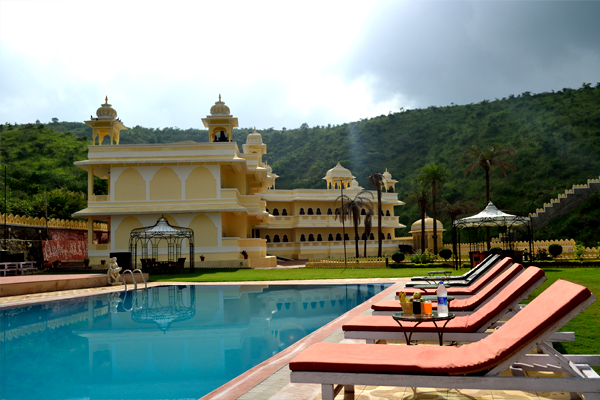 This one is another luxury hotel that falls perfectly in the list of best wedding venues in Udaipur. Here proper accommodation facility and all the other essential requirements will be taken care of with leisure. This hotel will be comparatively cheaper than the above mentioned venues. 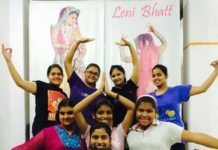 The Lalit Laxmi Vilas belongs to the renowned chain of hotels – Lalit; therefore the hospitability of the hotel is remarkable. 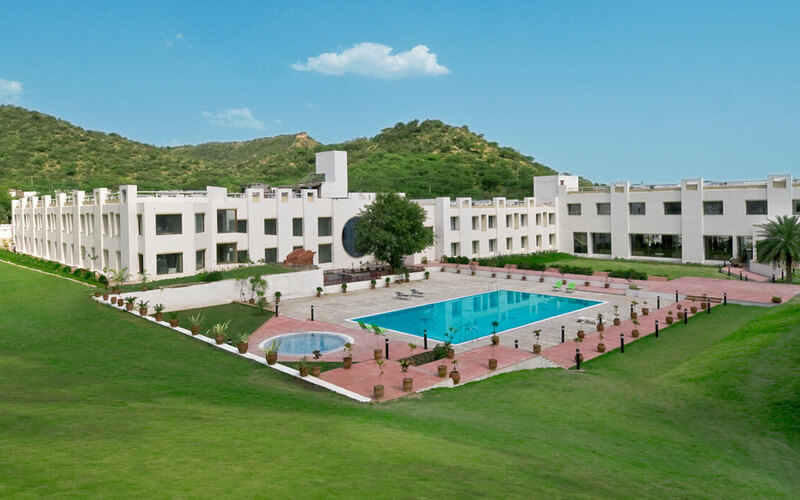 As mentioned before, this list displays venue names with their estimate pricing in descending order, therefore this hotel will prove to be less expensive than the above hotels, yet there will be no difference in the grandeur of the wedding as the site is vast and located near Fateh Sagar Lake. Former Sheraton hotel that has now been transformed into Radisson Blu, provides all the facilities required to have a lavish wedding. The cost of the wedding will be mostly similar as The Lalit Laxmi Vilas Hotel. 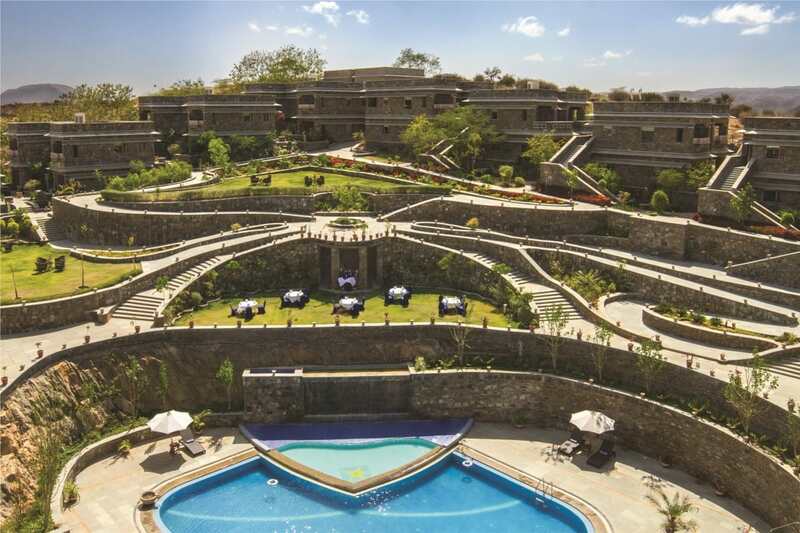 The popular celebrity Neil Nitin Mukesh chose this artistic venue for his destination wedding in Udaipur. 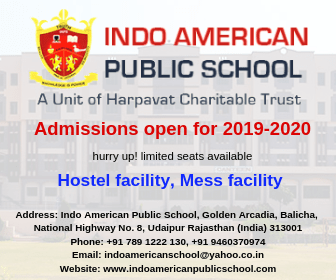 This hotel is designed as per the royal Palaces of the Mewar Kings and Queens, the accommodation and other wedding cost will be decreased than the above venue’s wedding cost comparatively. This site can hold maximum 500 persons, so if you are planning to invite numerous guests in the wedding, keep a check on that. Situated on the outskirts of Udaipur, this resort covers a vast land area that makes it an ideal location to host a grand wedding in Udaipur. 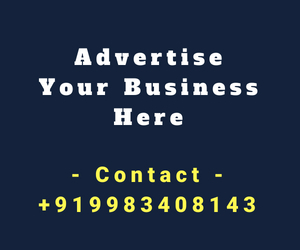 There are several venues available in this particular site to host various wedding functions including Aravali Lawn, Aravali Hall, Rangbhoomi and Palm Deck. As this is a luxurious and vast resort, the guests can be escorted to the wedding venue from their hotel suites in the golf carts available. 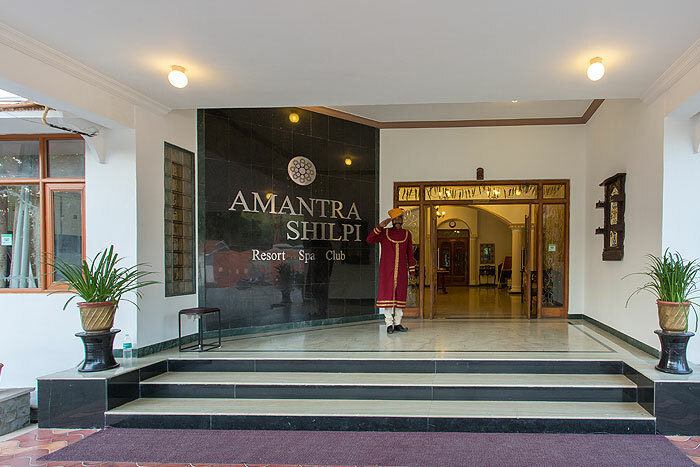 The wedding cost if you plan a wedding in Ramada or Ananta will be almost same, but the area provided by Ananta is huge. Yet this site could also a decent no. of guests (around 600 people to be precise) with affordable lodging charges included. As the name suggests Hotel Hilltop Palace is located on the top of a hill near Fateh Sagar Lake, well that will surely satisfy the carving of getting married on the top of a hill. The guests count will have to be kept minimal as this hotel may not be able to hold more than 500 guests. This venue will turn out to be cheaper than all the sites mentioned above. The wedding venues that will be mentioned after this will come under the category of moderately expensive. Vast land area is covered by this Resort and Banquet hall option or lawn option is also available to choose from in this venue. Apt rooms are also available for accommodation and as the name suggests this site will also give a royal touch to your wedding. Far from the main Udaipur city, this hotel is located at the outskirts where you can have a gala time away from the hustling of the city. Hall and Lawn options are available to choose from for the wedding venue that implies if it is monsoon season you can shift the wedding binge in the hall if rains arrive. 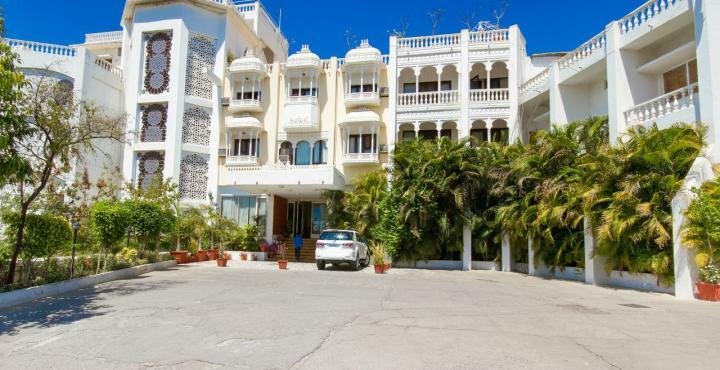 This resort lies on the road to Eklinji Temple via Udaipur; it will take approximately 45 minutes to reach this resort from the main Udaipur City. 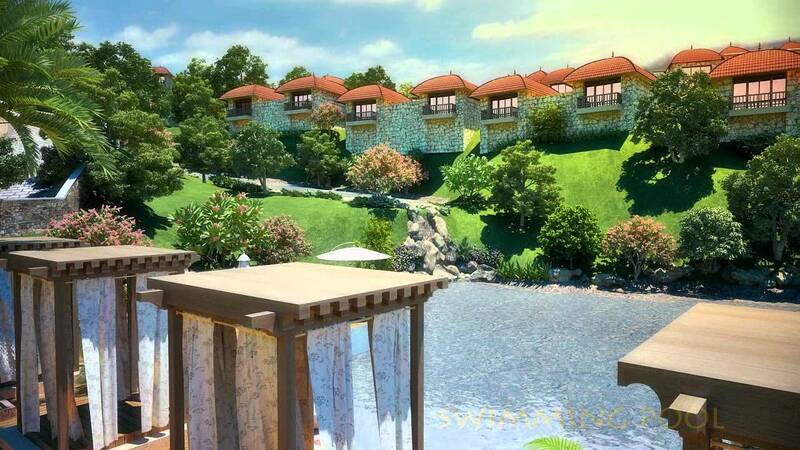 But the resort is worth the time as you can find the ideal location far from the city as well. This resort can be considered as a comfort resort and can be used as a wedding site in the lawn area available. Again, the lawn area can be a bit compact and inappropriate for huge crowd to hold. Rani Village has maintained a huge lawn for the wedding ceremonies; it is located on Rani Road that is adjacent to the Fateh Sagar Lake. That implies the Baarat can be taken from the road near lake which will add stars to the wedding. Tip: To minimize the cost of wedding, hire the decoration and catering agency separately and not from the hotel venue. 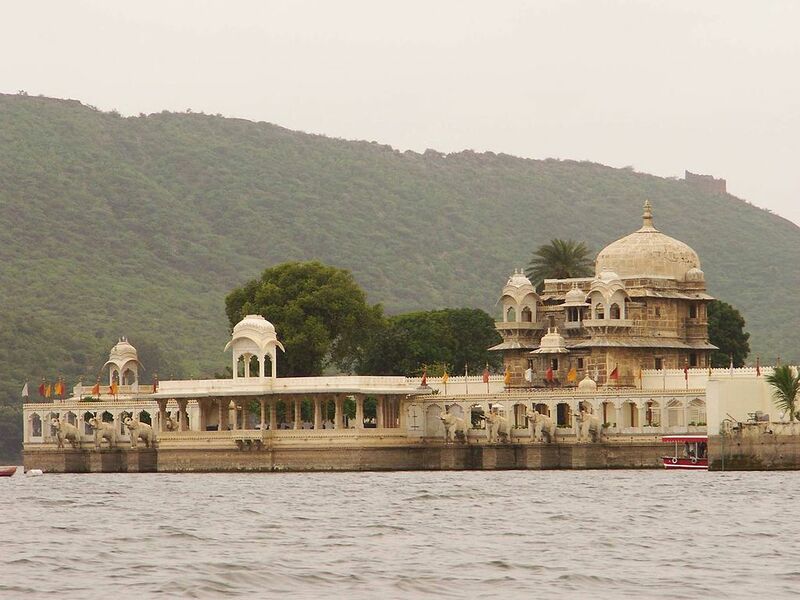 These were few Udaipur wedding venues options listed by our team. If you want a simple yet elegant wedding with minimum budget, you can rent the independent lawns available in the city. Also don’t rely on the pictures and do visit the venue before finalizing it. 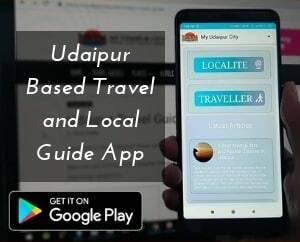 Don’t forget to like, share and subscribe to My Udaipur City; we hope this article was helpful to you in choosing your dream wedding venue. Let us know your views, suggestions and questions in the comment section below, also share your experience of wedding in Udaipur via comments. Have a Happy Wedding in Udaipur!